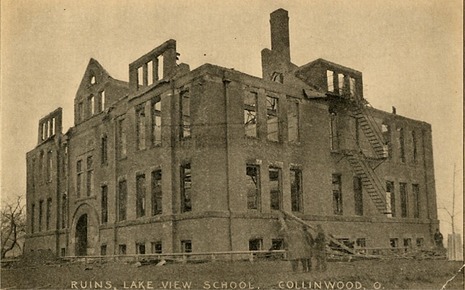 The COLLINWOOD SCHOOL FIRE occurred on 4 Mar. 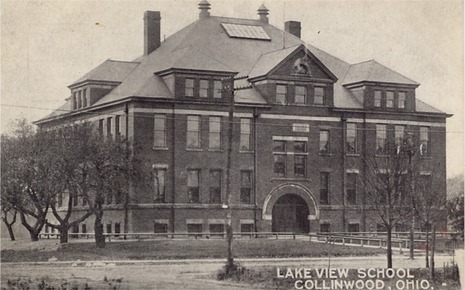 1908, killing 172 children and 2 teachers at Lakeview Elementary School in the village of COLLINWOOD. The fire began shortly after 9 a.m when an overheated steam pipe came in contact with wooden joists under the front stairs, and only 194 of the 366 students enrolled escaped the blaze. The others were trapped inside the rear first-floor exit, and by the time volunteer firemen arrived, nothing could be done to save them. 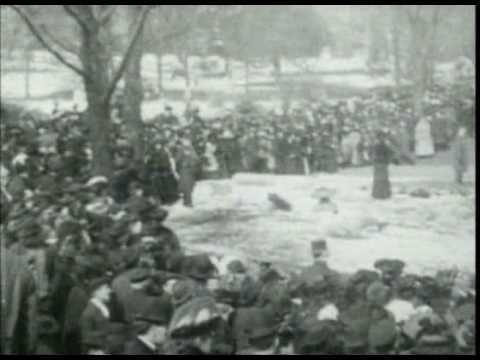 Nineteen bodies could not be identified and were buried in a common grave in LAKE VIEW CEMETERY, along with 150 students whose identity was known. In a fire that may have been incendiary between 160 and 170 children lost their lives this morning when Lake View School, in the suburb of Collinwood, burned. Penned in narrow hallways and jammed up against doors that only opened inward, the pupils were killed by fire and smoke and crushed under the grinding heels of their panic-stricken playmates. All of the victims were between the ages of 6 and 14 years. There were about 310 children in the school. Two teachers, in vain efforts to save the little ones perished. To-night 165 bodies are in the morgue at Collinwood, of which more than 100 have been identified and 57 are still unidentified. Thirteen children are still unaccounted for, and all the hospitals and houses for two miles around contained children, some mortally and many less seriously injured. Following the fire, the remains of the Lake View School were demolished and a memorial garden planned for the site. 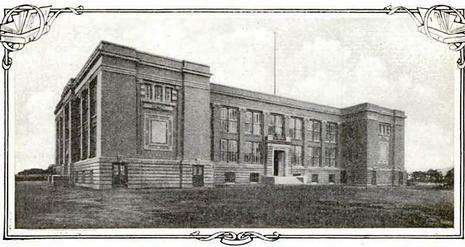 A new school, Collinwood Memorial Elementary School was built adjacent to the disaster site, and incorporated many features that had been lacking in the previous building. Unlike the building involved in the disaster, the new school incorporated fire safe stairwells, a central alarm system, and was built of steel framing and other fire-safe materials. Although the old school was torn down in 2004, a memorial plaque remains on the site as new development is added to the area. The disaster also led to a national effort to change doors at public buildings so that they opened outward. It was though about after the Iroquois Theatre Fire. They also made "panic bar" latches on doors required in all schools. The final casualty of the fire was the independence of the Collinwood community itself. 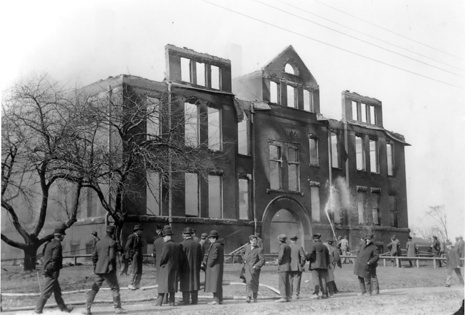 Unable to sufficiently guarantee fire safety resources for its residents, voters approved an annexation of Collinwood into Cleveland within two years of the fire.